"Burning in the Sun" featuring Daniel Dumbele. Note the film-festival awards across the top. 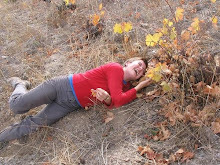 My husband loped into the living room while I was watching the DVD, "Burning in the Sun". 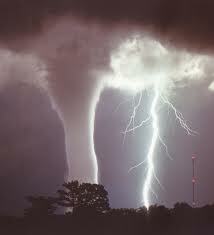 He had hoped to turn on a baseball game, but he stopped, watching a scene on the DVD. After a minute, he sat down. "What's this?," he asked me. "It's a documentary I was asked to review," I told him. "It's the best film I've seen about solar since Jeff Barrie and 'Kilowatt Ours'. 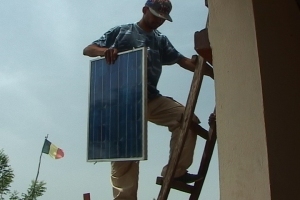 About this young guy in Mali who makes solar panels by hand and distributes them to villages that have no electricity. It's really good." Ken stayed and watched the whole thing with me. 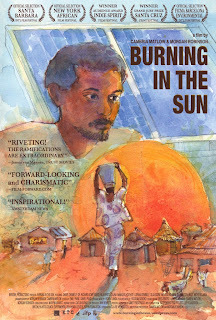 "Burning in the Sun" is the most memorable environmental documentary I've seen in a while. But it's also a compelling personal story that would be interesting even if the star, charming Daniel Dumbele, were selling shoes instead of PV panels. 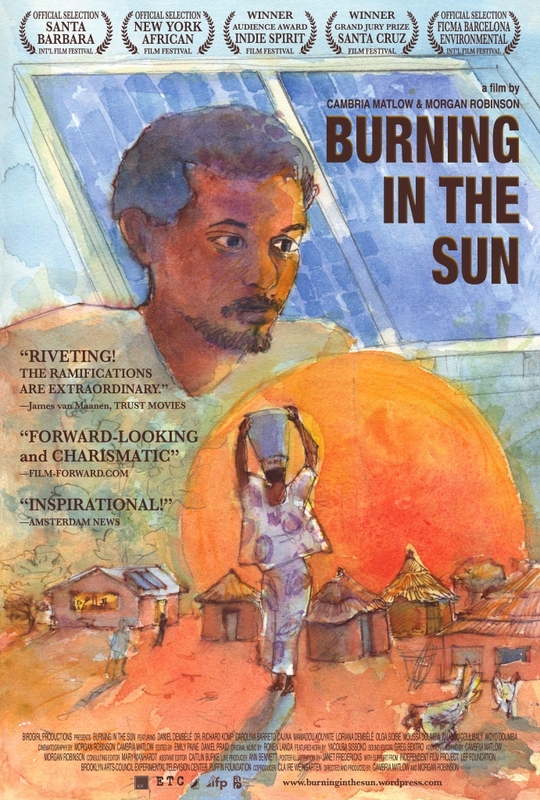 It's a plug for non-polluting, affordable solar power, but it's also about parental influence, about youth struggling for meaningful livelihood, about West African rural culture - all of which are fascinating to me. Daniel was raised in Mali by his European mother after his West African father died. Growing up, Daniel helped his mother install 350 wells throughout inpoverished rural Mali, saving lives by providing clean and safe drinking water. Said Daniel, "For me, it's nice and normal to be trying to help my people." At the age of 26, Daniel decided to start his own project: he learned how to make solar PV panels for $200 instead of the usual $1000, by piecing together broken PV cells discarded by American corporations. He uses all local materials to make the panels, except for the broken PV cells he carefully trims and fits together like puzzle pieces. As the DVD unfolds, Daniel sets out to distribute the completed panels, with more requests for them than he can fill. He focuses first on the village of Banko, holding a workshop for local people to teach them how to install the panels and set up the wiring. He's assisted in the beginning by a solar physicist and a female solar engineer, as he masters the circuitry for getting energy from the panel to the lightbulbs - which turns out to be quite simple. Click here to see a film trailer. After Daniel's efforts, the school in Banko is illuminated for the first time, and the students (girls and boys) flock into the brightly lit room in the evenings to do their homework. The film tells us that the year before getting lights, only 20% of the Banko children passed their national exams. The year after, 97% passed! Daniel explains that he plans to sell the panels in the city, where customers will have to pay him cash. Then he will be able to offer "micro-credit" or "micro-loans" to the rural villagers, most of whom are farmers, allowing them a year to pay him back for their panels. Or even allowing them to barter for the panels. The documentary caught Daniel at precisely that point in this life where he's trying to figure out how to help his people in his own way, while at the same time making a living. As a mother of two twenty-somethings myself, I was moved by Daniel's search for livelihood. I also know from my own struggles that it's not easy to make a living by serving a cause. I still haven't figured out how! Daniel is making it work. In 2006, his company "Afriq-Power" opened a storefront in Bamako, Mali's capital city. His clients now include USAID, Geekcorps, and the US Embassy. Daniel's company electrifies health centers and schools, and installs solar-powered pumps in rural Mali. Daniel recently won a $30,000 contract to build 400 panels to power radios in Malian villages. As I watched the captivating story of Daniel's journey, my husband Ken was sucked into it too, and forgot all about the baseball game he'd intended to watch. Ken was so enraptured with the DVD, he watched both versions (83 minutes and 22 minutes), and then took the film to work to show his classes. The next evening he told me that it had sparked class discussions about the association between the education of girls and reduction of birth rates, about the concept of microloans, about the diversity of races at work on the project and the inclusion of both genders as solar "experts". Most of all, after studying global poverty in the abstract, his students really enjoyed the personal nature of "Burning in the Sun." Me too! 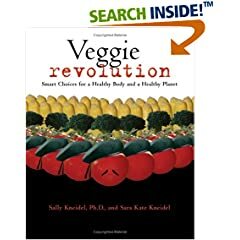 I recommend this inspirational and informative documentary to anyone - for personal viewing at home, to fuel family discussions, to illustrate multiple issues to students - poverty in developing nations, grass-roots solutions to our environmental crises, communities working together learn new technologies. "Burning in the Sun" is perhaps the most fully-fleshed out documentary I've seen yet - a very human story about the monumental problems that threaten our planet. For more information and a way to contribute, see the website for the film. 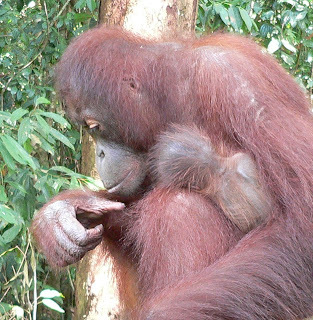 Field researcher Anne Russon of York University in Toronto monitored orangutan behavior from 2004 to 2007 on the Indonesian island of Borneo. She observed orangutans scavenging fish that had washed up along shores. She also saw them grabbing live catfish out of small ponds. The orangutans immediately ate the fish. In 2007, Russon stocked a small pond with catfish and videotaped orangutan visits to this pond. She reported that several of the red apes learned on their own to jab at catfish with sticks, provoking the fish to flop out of the ponds within reach. The orangutans then ate them. Using sticks to frighten fish out of ponds qualifies as "tool use," an ability that was once thought to be unique to humans. Other primates and crows have also been observed using tools to obtain food, and sometimes making tools. Chimps have been filmed making spears to stab and remove small primates from treeholes and then eat them. (The spears are made by sharpening sticks with their teeth.) Chimps also use sticks to remove termites from holes to eat. If any of you readers can tell me other observations of meat-eating or tool-use in orangutans, I'd like to know. Russon reported her observations of orangutans catching fish at the 'American Association of Physical Anthropologists' meeting in Minneapolis on April 14, 2011. 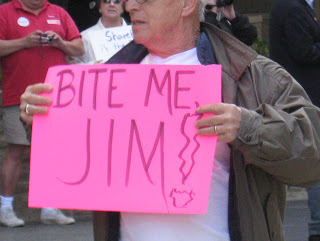 Dozens of protesters demonstrated outside Duke Energy headquarters in Charlotte on Thursday (5/5/11), prior to a meeting of shareholders. The demonstration included speakers, picketers with signs, and street theater - the actors portrayed utility customers whose money winds up in the hands of legislators. 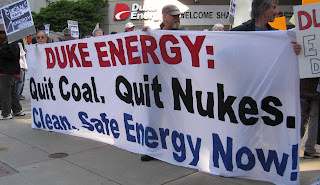 The demonstrators protested the use of coal from mountaintop removal and the construction of two new nuclear units in Cherokee County, S.C.
At the shareholders meeting indoors, 20-30 people lined up microphones in the aisles of the auditorium to pose questions to Duke Energy CEO and President, Jim Rogers. 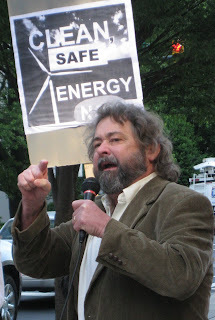 I was one of those people - my purpose was to point out to Rogers and the shareholders the risk involved in building new nuclear units in South Carolina, on a river whose flow is inadequate to provide consistent cooling of the units. "I'm concerned about the consumption of water by the proposed nuclear units on the Broad River. Duke Energy and its shareholders face serious financial and public relations risks from Duke’s use of so much water. "Already, NC’s electric-production sector has one of the largest rates of water withdrawals in the nation, over 9 billion gallons every day – about 80% of our state’s total water withdrawals. "I understand that some of the water withdrawn by nuclear power plants is returned to the lakes it’s drawn from. But much of the water withdrawn to cool the reactors is 'consumed' or lost by evaporation. The proposed units on the Broad River will have a consumptive loss of 35-40 million gallons per day. "Right now, most people are unaware of how nuclear plants impact our state's water - including loss of aquatic habitat, releases of radioactivity, and the huge evaporative losses. As you [Jim Rogers] said yourself, 'water is the new oil' – because of growing water shortages due to population growth and climate change. "Soon the people of NC will find these losses of water and habitat unacceptable. 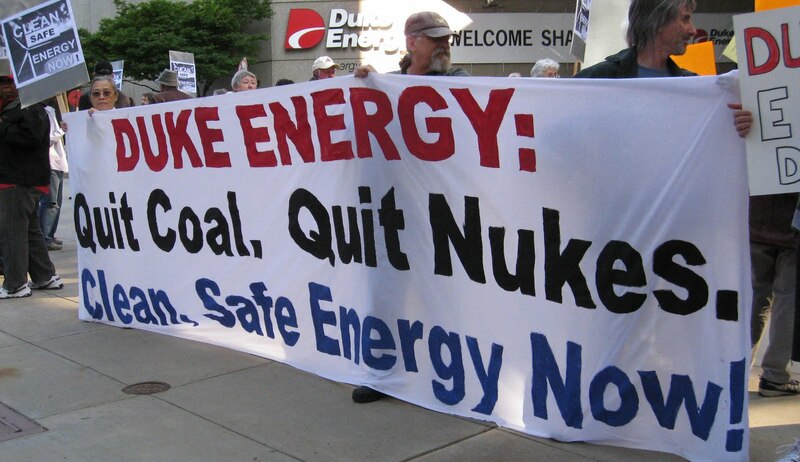 Duke will be taking a huge risk to squander even more water at new nuclear plants. Likewise, with 70% of biologists predicting mass extinctions this century, the loss of aquatic wildlife due to dams and thermal pollution will become increasingly objectionable to the public. "The increasing water shortage also creates a high financial risk for Duke. Because of coming droughts and periods when water is too warm to cool the plants,the proposed plants are likely to be idle at times or operate at reduced power - a public annoyance and a loss of revenue. As the Broad River diminishes over the years, the useful lifespan of the $11 billion units is also likely to be cut short. 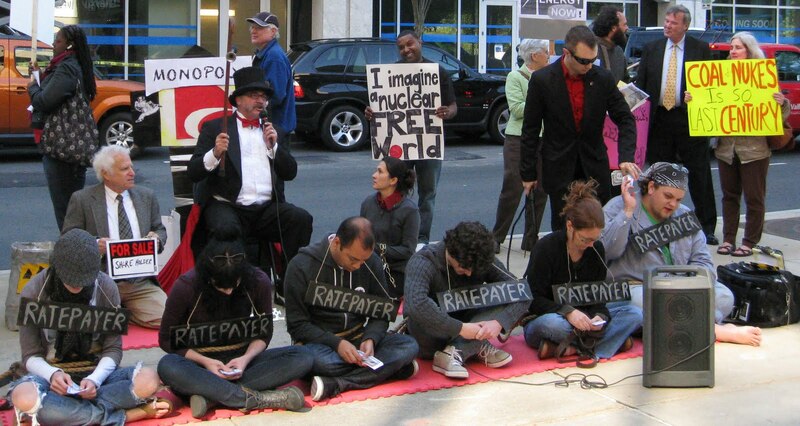 So the ratepayers [not the shareholders] will wind up paying for nonfunctional nuclear plants. "Do you, Mr. Rogers, believe the Broad River will have enough water to support these plants? "In other states Duke is investing more aggressively in energy efficiency, wind, and solar, which require no water. 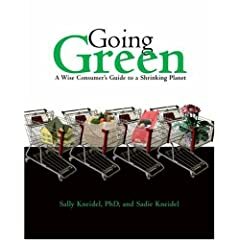 Why doesn’t Duke invest more in efficiency, wind, and solar here in its home state, thereby minimizing the risks to Duke and to all North Carolinians of our dwindling water supplies?" Jim Rogers answered my question about the Broad River by saying "That's a good question." He went on to say that Duke is studying the issue and they plan to create a reservoir (by damming the Broad River). Which was no answer, really. Every nuclear plant has a reservoir of some kind. The question about solar, wind, and efficiency was posed by several people. He said wind turbines take up too much room. The real answer to the efficiency question is that Duke makes more money when customers consume more energy, because then they pay more money to Duke. Duke had strong 2010 earnings, and this past week had first-quarter growth that moved its stock to the highest price in 3 years.